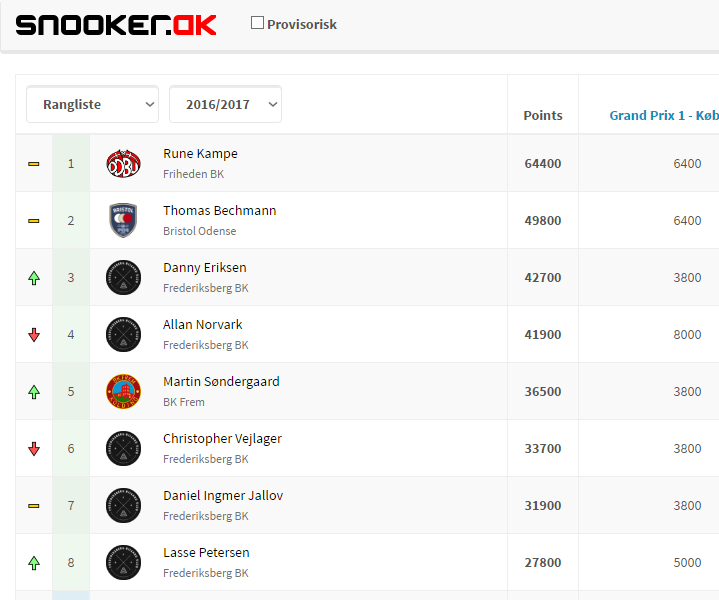 The Snooker ranking system was built to meet the needs of the Danish snooker tournament structure. The backend is built in .NET Core with a Web Api serving data, hosted on Azure. The frontend is built with Angular.js and uses CSS themes from Bootswatch. The ranking system was created in cooperation with Martin Søndergaard (http://marson.dk). Martin created the database structure and the administrator interface, and I created the web api to serve data from the database and the frontend.